The goal of this venture is to make an intuitive virtual control. The advancements utilized here are Miniaturized (Micro) scale, MICRO ELECTRO MECHANICAL SYSTEMS (MEMS), Flex sensors, Zigbee arrange convention. MEMS is the innovation of little gadgets which converges at the Nano-scale into Nano electromechanical frameworks (NEMS) and nanotechnology. An accelerometer is utilized to gauge the development of the hand. Accelerometer is an instrument for measuring quickening, distinguishing and measuring vibrations, or for measuring speeding up because of gravity (slant). They can likewise be utilized to quantify seismic action, slant, machine vibration, dynamic separation and speed with or without the impact of gravity. The gadget is set in our grasp, so that by moving our hand we can control the mouse pointer and clicking alternatives moreover. This development control is given to the gadget or the framework in which the applications are to be utilized. This is done in remote by method for Zigbee convention. This convention gadget gives different component as the correspondence remove for Indoor/Urban: up to 40 m, at open air observable pathway, up to 120 m.
Arun Rajha V. "Virtual Control Using MEMS Sensor." 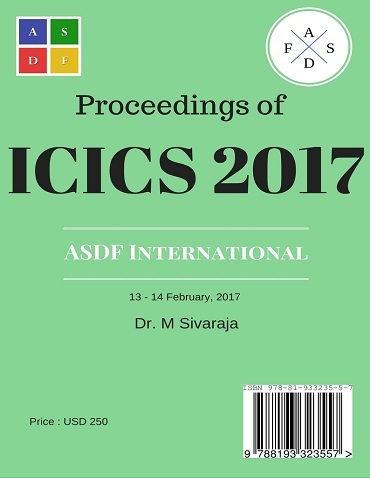 International Conference on Intelligent Computing and Systems (2017): 26. Print.